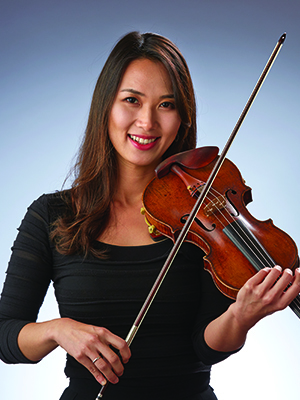 Before joining the ISO in 2007, Michelle Kang was a member of the San Diego Symphony. She received her Bachelor of Music from Juilliard School, and studied with Glenn Dicterow, Dorothy Delay, and Dr. Won-Bin Yim. She has won the Eastern Connecticut Young Artist Competition, and the Juilliard Pre-College Concerto Competition. Ms. Kang has performed solo with the Aspen Young Artist Orchestra, Juilliard Pre-College Symphony, and the Korean Symphony Orchestra.